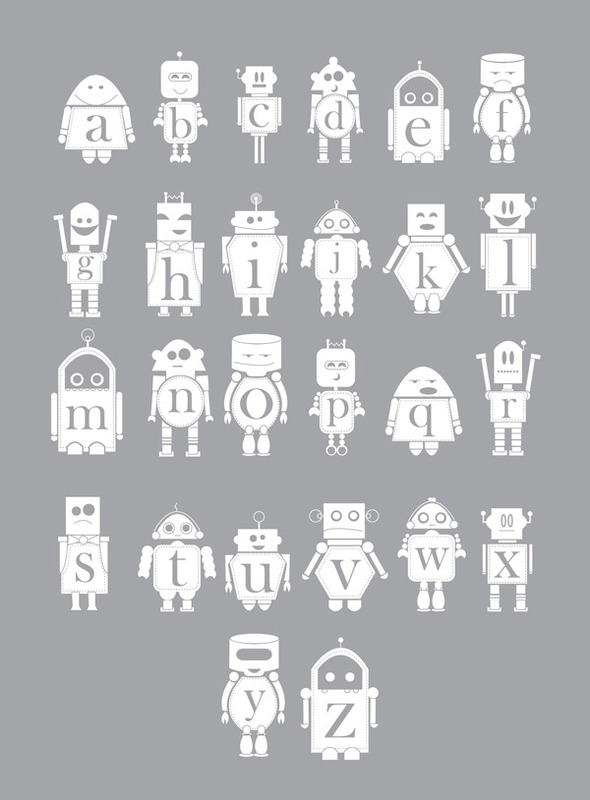 Today I get a email from a reader of my blog and just before the weekend starts I want to show you another Alphabet a Robot ABC – from CreativeNeesh. Thank´s for the mail Trish ! Next week you can win a new contest and you see also a new Line+Liv little project … so, please come back … all the best for the weekend!